African Union Summit,Abuja, Nigeria; 2066. "Over a hundred years ago, mid-20th Century, African states, in a frail attempt to stand on their shaky legs, began to fight for independence from the colonialists," AU Head, a retired Kenya Defence Forces General, began his speech. "Tribal armies were formed, communities forged alliances and warriors marched against the sophisticated colonial troops. Battles were fought, blood shed and lives lost. "Our leaders, the freedom fighters, were branded criminals and tagged terrorists, and were hunted down like game and killed if not incarcerated. They never gave up until, one by one; the invaders gave in. we celebrated what we called independence, as long as it lasted, for hardly had we started to govern ourselves when we realized that the whole independence thing was a ruse – it was granted to us. The former colonial masters controlled everything we did behind the scenes, neo-colonialism. "We did nothing as we watched our beautiful home being plundered, looted and our mother's being raped before our very eyes because if we raised an eyebrow all foreign aid would be cut; our already frail economies, burdened by debt, graft and corruption, ethnicity and Western erosion. Some of our leaders stood firm and send away the marauding invaders, others said NO to Western interference only for the International Community to come down upon them like a ton of a thousand bricks with sanctions and what-have-you. Not to mention how our moral and cultural fabric has been disintegrated to nihility by activists from American and European backyards, and if that's not enough, burned to smithereens. 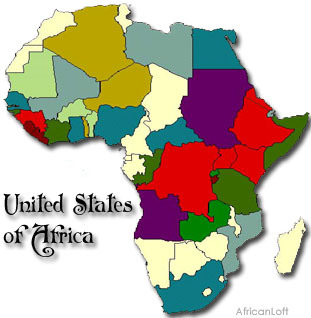 "Colonel Muammar Gaddafi saw a one Africa, a continent of united states. What happed? The International Community bombed the country he had built from the scratch, and buried him under the ruins of the cities he had once gloried in. "China has come knocking on our doors dangling the bait of infrastructural development before us. Our greed led us to jump ship, only to have murderous convicts who have no pathos of whatever they do dumped in our homes in the guise of construction supervisors. There has been killing of our people with impunity by these jailbirds only for our presidents, the fathers of our nations, to play criminal lawyers for them. "Does this mean that Africa cannot stand on her own? Must we always be funded by foreigners? Must our governments always be partners with these conspiratorial foxes? We offer their governments plausible deniability of their criminal activities – secretly financed torture camps in our precious home, nuclear plants in our front yards; test grounds for their nuclear, biological and chemical weapons in our backyards; experimentation on human beings, dumping ground for convicted murderers and all criminals. "Lines of acceptable conduct have become blurred. 'Not on our soil' is the foreigner Credo. "Mama Africa is beautiful, rich and healthy, but has been robbed of all these before her very eyes. Nonetheless, it's not too late. We can salvage our beloved Africa from these marauding acts of our subtle enemies." All eyes of the fifty-four heads of states were fixed on him. He had them on spell. He hoped to gods and ancestors they were listening to him. What he was telling them had consequences, but necessary. "Africa needs to be liberated. The second liberation of our beautiful home is now, this time not as a state, but as One Africa. The mistakes of our past should not be repeated, our leaders being sacrificed to Western gods at NATO shrines not anymore. "Shut all the doors that open up for foreign aid. Let's start a new Africa. "A new Renaissance, a new Homeland.